Richard Buckley, MD and Canfield Scientific, Inc. announced the addition of Digital UV Photography to Pocono Medical Care in Milford, Pennsylvania. 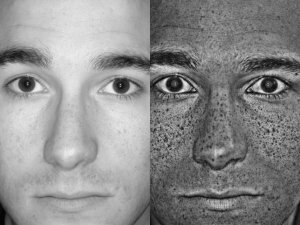 Featuring a high-resolution digital SLR camera, ultra violet filters and Mirror® advanced image processing software, the Canfield Digital UV system allows physicians to quickly and easily assess sun damage that is not visible with the naked eye. Pocono Medical Care is now accepting appointments for Digital UV photography and can contacted at 570-296-4000. Canfield Scientific (Fairfield, NJ) is a leading supplier of medical photographic equipment, software and computer systems for patient imaging in medicine and research. With distribution in 40 countries, of Canfield is the world’s largest provider of photographic documentation products and services for pharmaceutical research. The mission of Canfield Scientific is to provide advanced patient imaging capabilities to physicians and the healthcare industry. Canfield is the exclusive distributor of DermoGenius technology in the United States. Pocono Medical Care Advanced Dermatology (Milford, PA) is the medical practice of Richard Buckley, MD and Marina Buckley, MD. Since 1987, the skilled physicians and health care professionals of Pocono Medical Care have delivered a wide range of high quality medical care and services including diagnosis and treatment of skin conditions and growths such as moles, cancers and roseacea, cosmetic treatments including laser, microdermabrasion, collagen and Botox injections, fat transfer, scar reduction. Pocono Medical Care also offers internal medicine services and a wide range of on-site diagnostic capabilities including cardiac stress testing, sigmoidoscopy and cancer screening. Milford Pennsylvania is located where NY, NJ and PA meet, along the Delaware River in the Pocono Mountains. We are only 90 minutes from Manhattan.